Home is place where you feel secure and safe, considering this fact it is very important to protect it from trespassers. 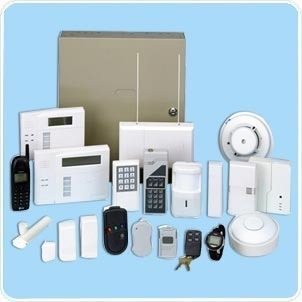 Home security system protects you and your family, protects your valuables and provides peace of mind. We offer innovative and reliable Home Security Systems to ensure safety of our customers. These systems are technologically advanced and meet the international quality standards. Some of the most popular home security systems include: CCTV cameras, Web-cams, electronic alarm devices, intercepting intercom systems, locks, digital recording devices, wireless systems, and surveillance cameras. Stahl Tecniks Pvt Ltd, established in 1984 and located in New Delhi is a leading company in the construction industry and specializes in design, supply and installation of a range of safety products to keep buildings and people safe and secure.